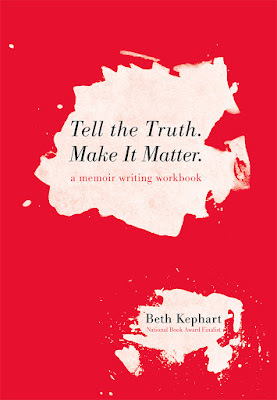 Beth Kephart Books: Tell the Truth. Make It Matter. An illustrated memoir workbook created for those who write and teach memoir, those who recognize the power of truth in our everyday lives, and those who simply (though it is never simple) wish to remember. Tell the Truth has already been incorporated into public and private high school classrooms, MFA programs, workshop settings, counseling environments, and retirement homes. It's available through Amazon, Barnes & Noble, Ingram, and Baker & Taylor. Glenda Funk-Cowen, at Evolving English Teacher, wrote: "Tell the Truth: Make It Matter has me rethinking the literature I teach in ways that will offer students new ways of seeing their stories in those of iconic texts from the cannon. Behind the cover of this valuable resource I see opportunities for my students to write their truths, opportunities for staff PD that focuses on our shared stories and struggles in the classroom, and an invitation for families to write together as we share family photos and see through the poses to the truths beyond the lens." Her incredibly helpful insights can be found here. Serena Agusto-Cox called it "the perfect workbook for the budding memoirist," in her generous review. Dawn M. Roode of Modern Heirloom books gorgeously discusses the workbook here (and such photos to accompany her post! 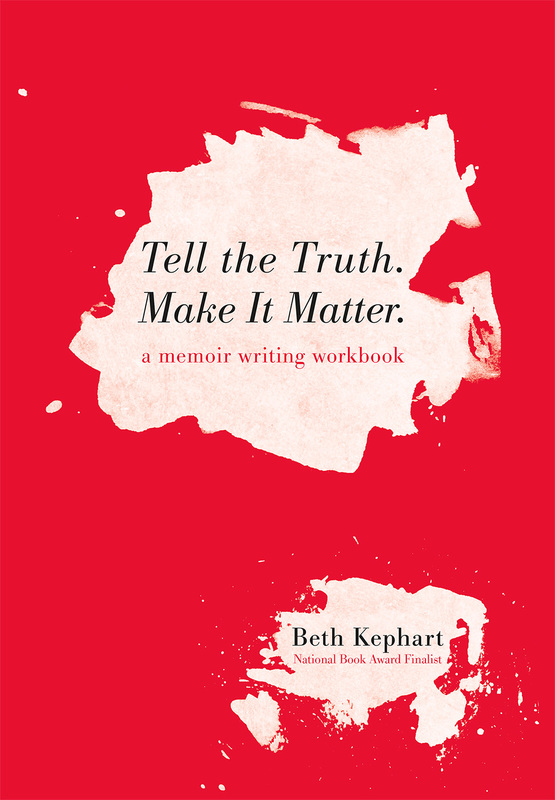 ): "The prompts and exercises within are wonderfully original, expertly crafted (Kephart is, in fact, a seasoned memoirist and compassionate teacher), and simultaneously pointed and open-ended enough to have you furiously filling in those blank pages with purpose."